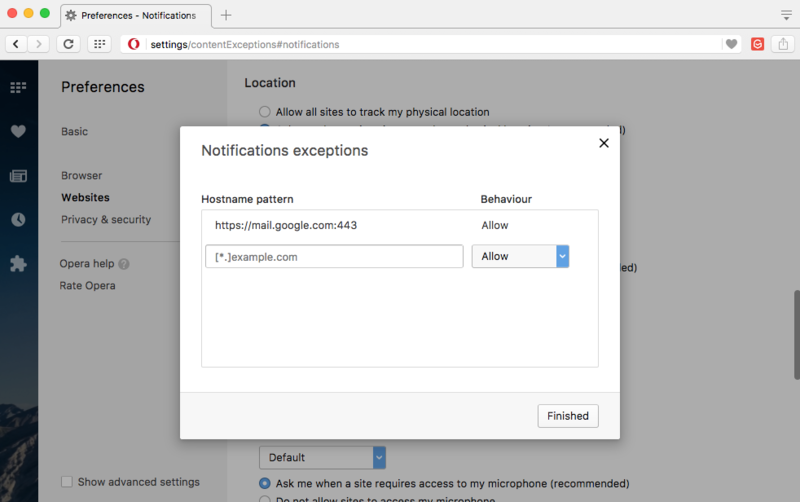 Ensure that Notifications are allowed both on the mail.google.com and inbox.google.com domains. In the top left corner of your screen, click on 'Safari' > Preferences option. Click on the the Notifications tab. 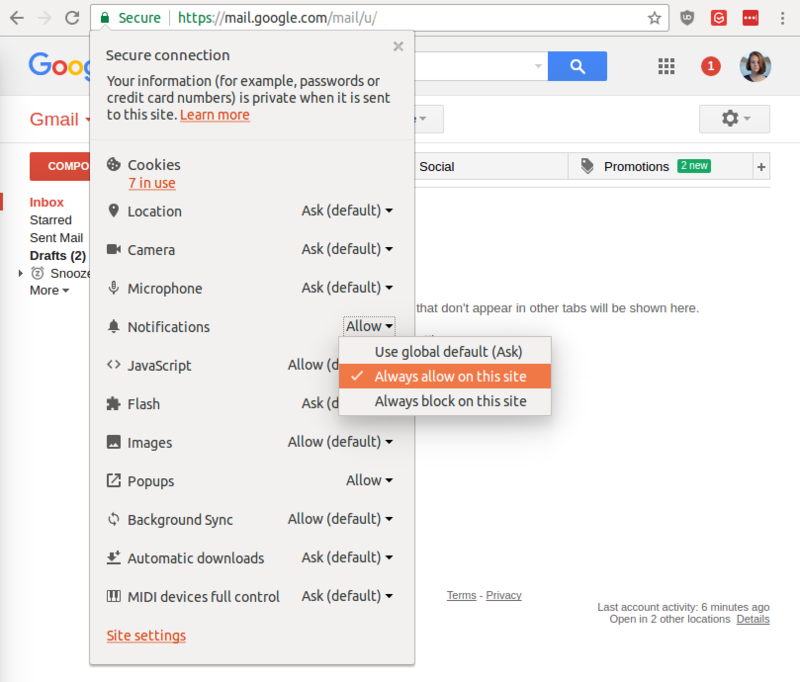 Allow mail.google.com and inbox.google.com domains. On your computer, open Opera. 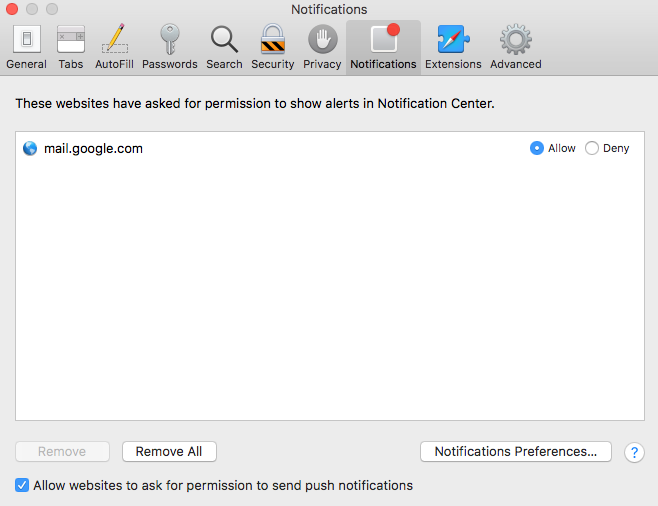 In the top left corner of your screen, click on 'Opera' > Preferences (Mac)/ Settings (Windows) option. Click on the Manage Exceptions.